An All Star Custom Home is the direct path to bring your dreams and vision for a new custom home to reality. Serving discriminating homeowners in Monmouth County and Ocean County, New Jersey since 1998, with an unparalleled commitment to your satisfaction, All Star Custom Home has locations in Freehold and Jackson, NJ and is ready to be of service to you. All Star Custom Home offers the highest quality craftsmanship for home owners and is a fully licensed and insured general contractor. With a reputation for excellence, from start to finish, All Star Custom Home is the only New Jersey custom builder that you need to make your dreams come true. When you contact All Star Custom Home, your consultation is with Ralph Caliendo, the owner and general contractor. He listens and takes the necessary time to truly understand your goals, your dreams and your vision. It is not every day that someone contracts to build a custom home, so time and excellent communication at this initial stage and throughout the process is critical to achieve the ultimate goal of a custom home that will improve your quality of living and significantly complement and enhance your family’s lifestyle. Ralph is with you at each step of the process, explaining everything in advance including material costs and selection, zoning and time frames so that you have accurate expectations and do not have any concerns. All Star Custom Home sets the bar on building on time, on budget, and exceeding their client expectations. As the designer, developer and contractor, Ralph Caliendo takes your vision and works directly with a trusted team of architects, tradesmen and designers that he has long established relationships with to shape and create your luxurious custom home, that is unique and unlike any other home. Because of this high level of personalized service, and a team of well-established professionals, there are never any unexpected surprises, only excellent results. Among the many benefits of selecting All Star Custom Home to build your custom dream home, it is important to note that All Star Custom Home is committed to exceptional quality and stays up to date with the latest cutting edge building techniques and highest quality materials. With impeccable detail, your new home will be built with the perfect blend of comfort and extravagance, showcasing the areas of the home where you live and entertain and escape whether it’s a gourmet chef’s kitchen, an elegant bath, a home theater, a wine cellar or a sumptuous backyard. Your ideas will come to life in your new luxury home. Additionally, energy efficiency and the environment are key considerations in all building decisions with a keen eye on selecting features that are efficient and save money but also conserve our valuable natural resources. All Star Custom Home has been highlighted in Multiple NJ Design Magazines for their work. With a zest and passion for what he does, Ralph takes pride in the work product and in the relationships that are created with the homeowner in building their custom dream home. It is a true labor of love and he finds his greatest satisfaction is when he gets to see his clients living in their home and beaming with joy and happiness and pride. It is this personal approach that makes All Star Custom Home one of the most respected custom home builders at the Jersey Shore and why they receive the highest recommendations from satisfied clients. Ralph Caliendo and All Star Custom Home is with you all the way and involved in every aspect of the construction process. 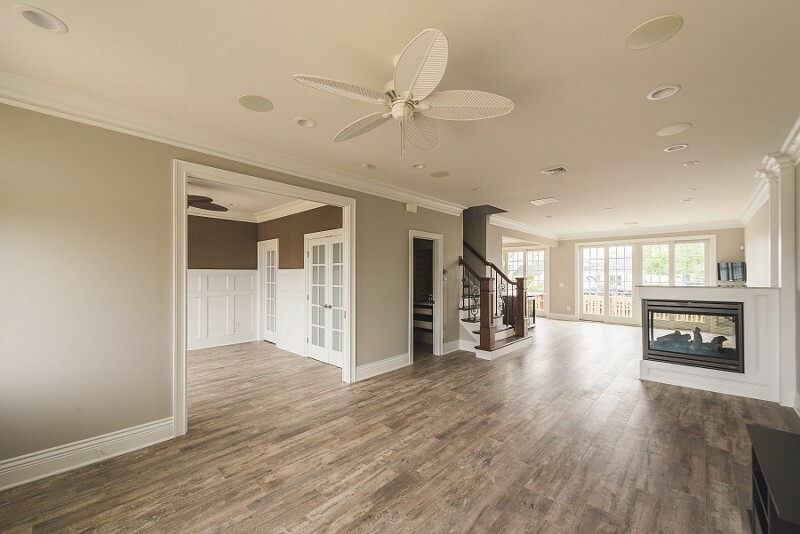 From the initial consultation, to the selection of materials and project management, all the way to the turn of the key to your new home, All Star Custom Home is a one stop shop and the only name you need for exceptional craftsmanship, meticulous attention to detail, timely and superior service. All Star Custom Home is committed to providing you peace of mind while making your dreams come true. Call today for a free consultation on your custom home.